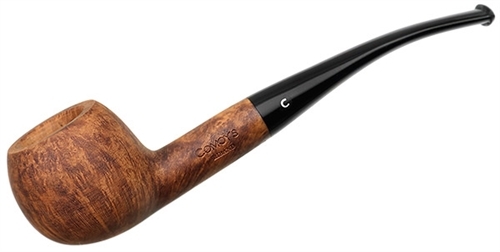 Comoy's Prince Bent Blue Riband Briar Pipe - These traditional briars are left natural and oil-finished for a soft, matte appearance that allows the grain to stand out. The stem is made of Acrylic for good looks and long lasting durability. 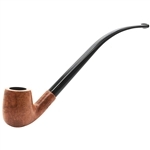 Each Briar pipe is boxed with a velvet pipe bag.